Sutton Church - but which Sutton? This post card was posted in Hinckley in June 1902 and sent to a lady in Leicester. However the post card dealer who sold it wrote on in pencil NOTTS. 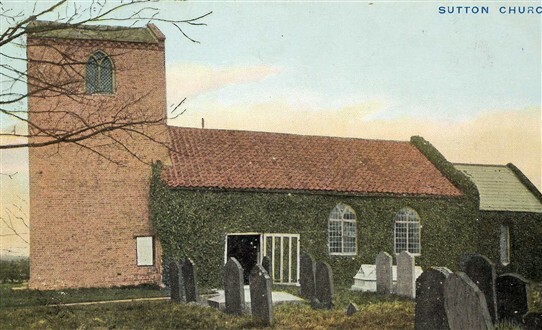 As there are many places called Sutton to be found in the atlas can anyone clarify where this 'Sutton Church' is? This page was added by Pauline Marples on 08/03/2011. Skating on a frozen River Trent? ?